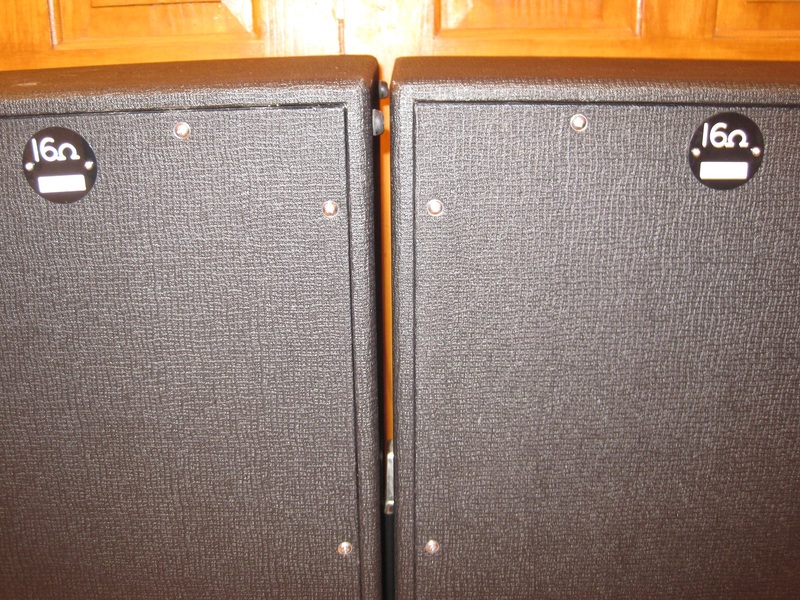 These cabs were acquired in December 2016 and are in showroom condition, partly I suspect because they still have their original covers. 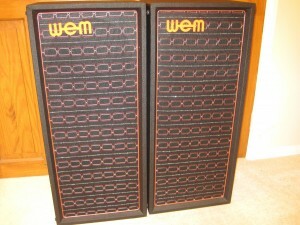 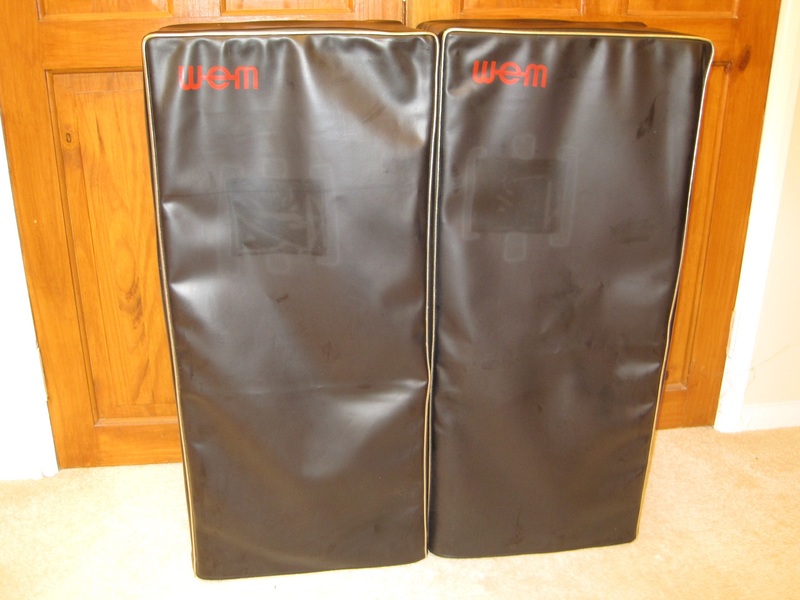 Around 1978 WEM slightly changed the design of their cabs with different tolex and rounded corners with metal protectors. 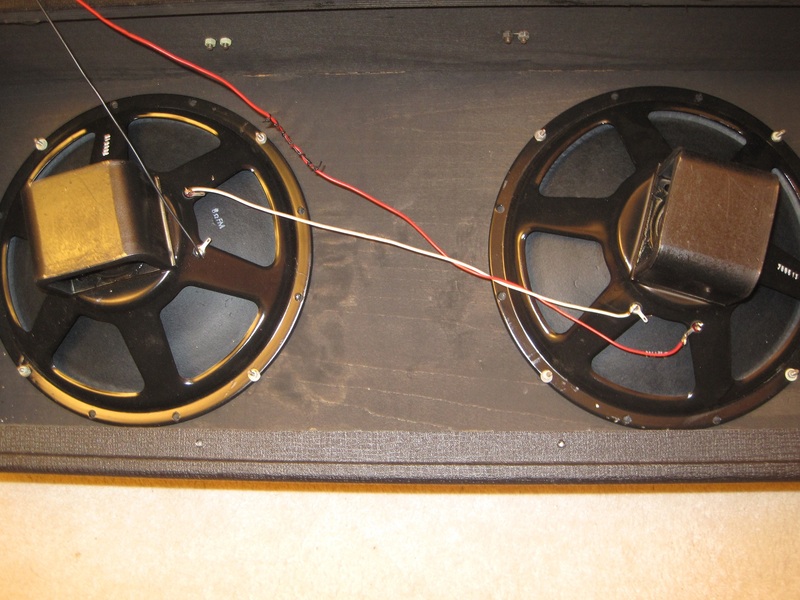 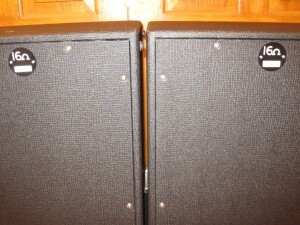 These cabs must therefore have been made before 1977.I currently have 2 pairs of 2×12 PA cabs. They were all made prior to 1977. 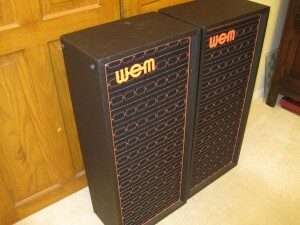 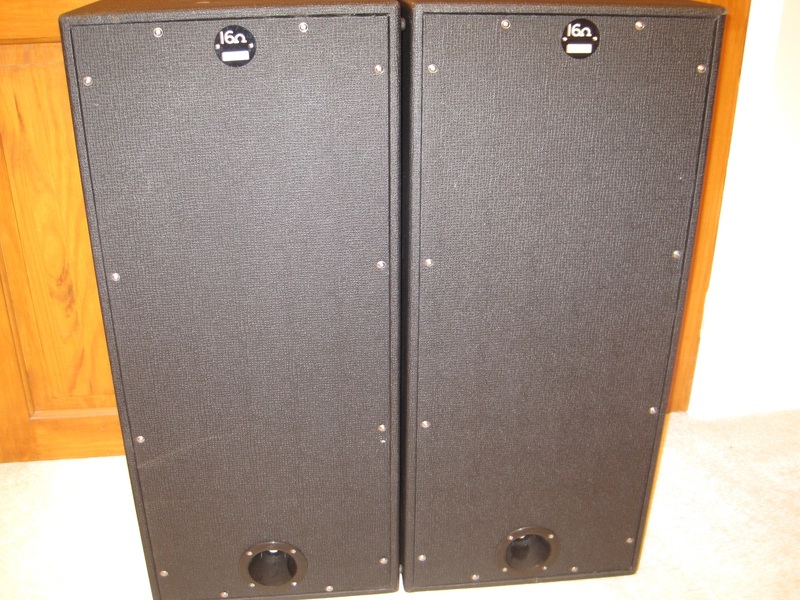 The cabs contain the standard (Peerless) black framed 12″ drivers found in many WEM cabs. 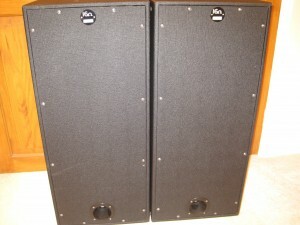 The black drivers are rated at approx. 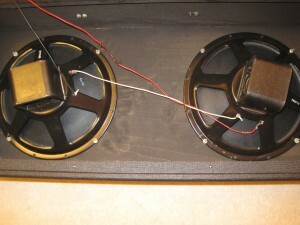 20 watts (based on other info I’ve received) and 8 ohms giving a total of 16 ohms per cab. With 2 drivers in each cab I would estimate the pair of cabs were designed for and would handle the WEM PA40 head.